Today is your last day of school before Christmas break, December 17! 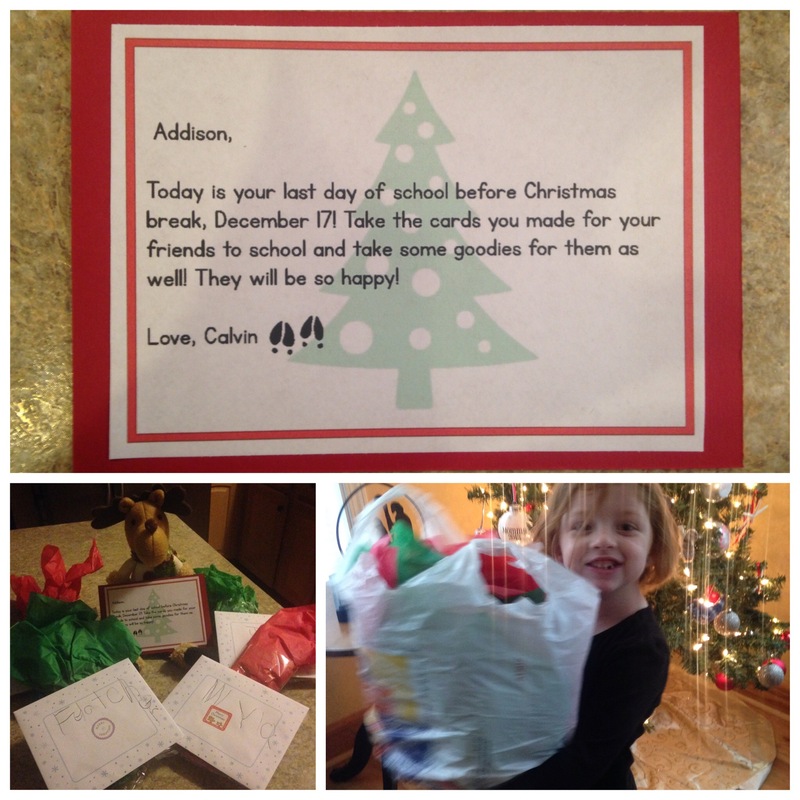 Take the cards you made for your friends to school and take some goodies for them as well! They will be so happy! We made little Christmas goodie bags to go along with the cards she made.